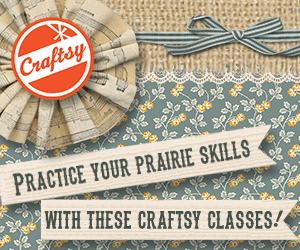 If you’re like me, watching the Ingalls Family in “Little House on the Prairie” inspires you to learn new skills. Even though most of us will never become homesteaders like Laura and her Pa and her Ma, we can adopt some of the hands-on arts that they made part of their everyday lives. Recapturing some of their pioneering spirits gives us a deeper appreciation for the simple things of life. As pioneers, the Ingalls cooked from scratch out of necessity. This homemade cooking and baking of affectionately-prepared meals connected them and brought them together. They worked together to cook, serve, and clean. They baked homemade bread, cakes, and pies; gathered fresh eggs, made bacon, preserves, and many other homestead staples. Gardening may appear to be about simply growing food for nourishment, but there are many lessons that can be garnered, especially in the case of Ingalls garden and Pa’s crop fields. The family learned faith, patience, perseverance, the value of hard work, and tenacity. The children cultivated the skills to help grow their own food, weed the garden, sell the vegetables and store some away for winter. They learned about the seasons in their garden and helped alongside Ma and Pa to grow good, healthful food for them to eat. 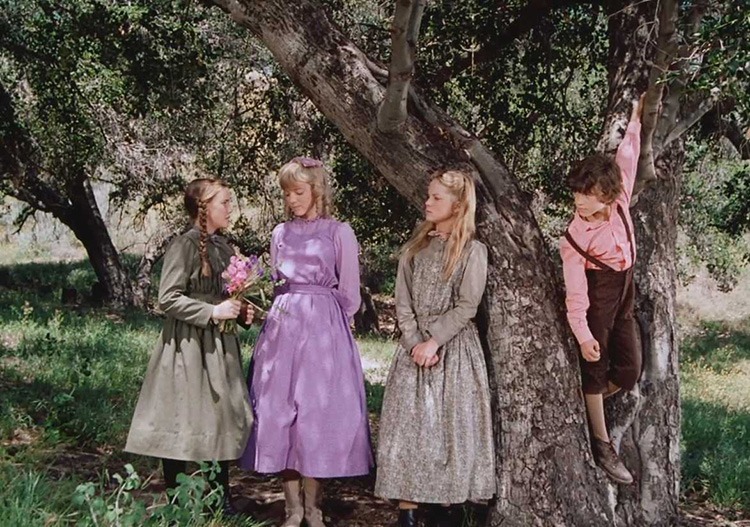 The Ingalls family were great adventurers. They went exploring in the wilderness, made long and sometimes challenging trips to find new land, and observed the value of the wild country daily. They lived closely in tune with the land, cared for it, cleared lands and forged a living from it. They also enjoyed some free time, with plenty of room to play outdoor games, being connected to nature and wildlife. The Ingalls family loved animals – Laura, especially. 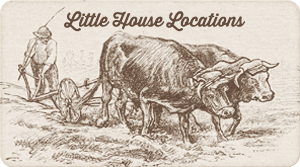 She loved her beloved dog, Jack, and the Little House on the Prairie books contain a great many charming tales of her fondness for Jack. In season 3, episode 8 of the TV series, entitled Fred, Laura decides that her family needs a goat. No one can forget the love Laura had for her horse Bunny, either. And although she was a family pet, she was also a fundamental part of the family being able to travel from place to place. 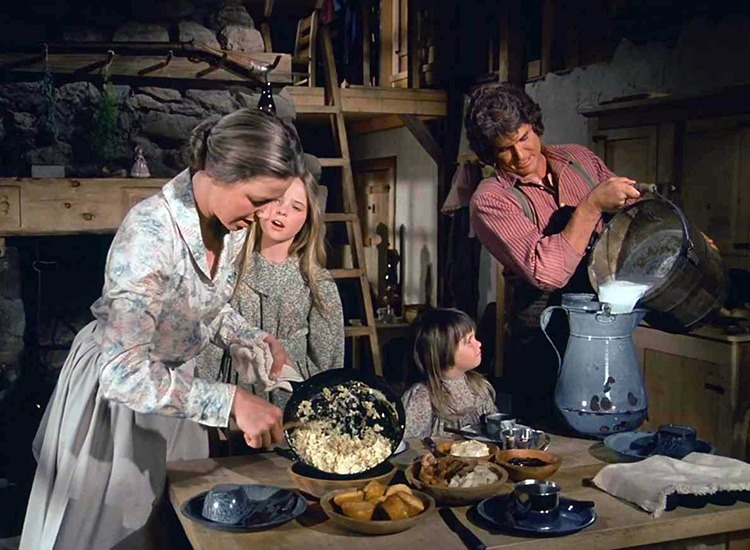 Many of the animals the Ingalls cared for also provided them with nourishment, such as milk, butter, and beef. Today, many people still raise their own animals and livestock to provide food and other essentials for their families. Ma made all of the clothes for the family. She lovingly stitched each piece by hand. We are a culture of consumerism nowadays and can learn a great deal about simplicity from this one act of the Ingalls family. 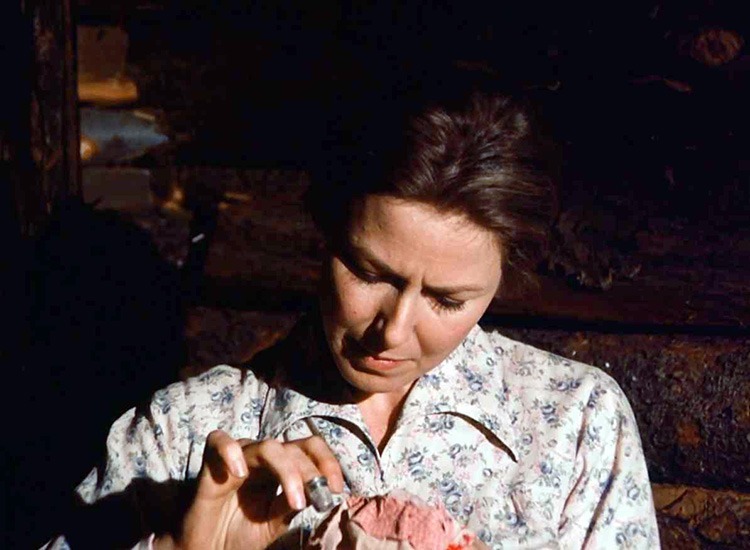 The Ingalls family was self-reliant and made do with what they had on hand, mended clothing, and repurposed scraps into useful things like quilts. Nothing was wasted. During the pioneer era, food could be scarce and fishing was a major source of food. Pa taught his girls to fish and the whole family was able to contribute to their meals this way. They ate a lot of fresh fish and it helped them to be self-supporting. There’s something cozy and meaningful about being able to cook your meal over an open fire. 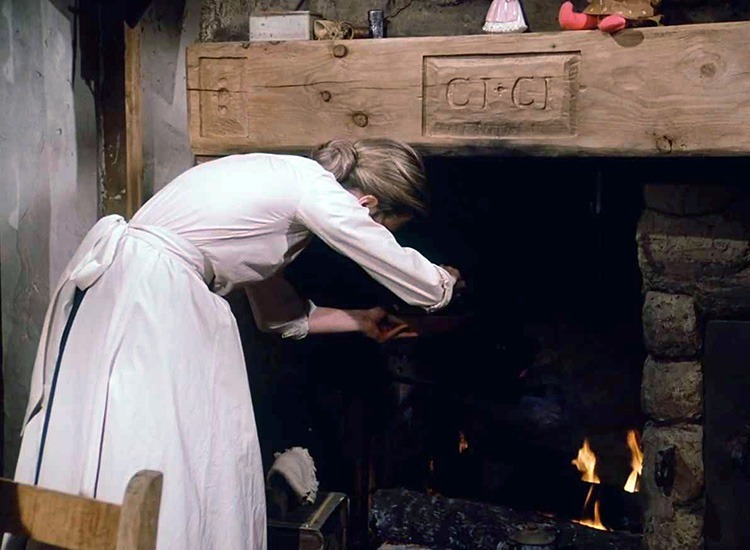 The Ingalls had to cook this way often until the later years when they got a cookstove. 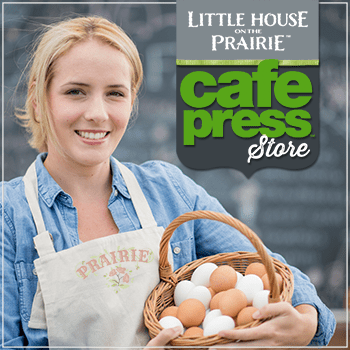 Ma was able to create nourishing meals no matter where they were – in a wide-open prairie or in their log cabin. Even today, people get satisfaction when they prepare a meal over a fire rather than using the modern appliances that our homes provide. The Ingalls did not have the luxury of central heat and air. So, they used a fire both to heat their home and to cook and prepare their meals. Aside from the practical applications of having a fire, it also made their small cabin cozy and comfortable. 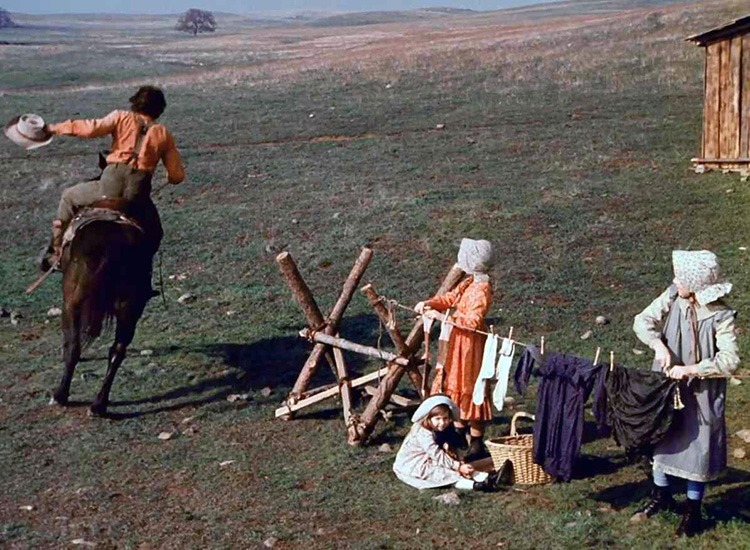 Out of necessity, the Ingalls hung their clothes on the clothesline each day after washing them by hand. Today, while we have the modern technology of a dryer, many people still use a clothesline to dry their clothes. It not only saves the cost of electricity but also gives them a fresh airy scent. 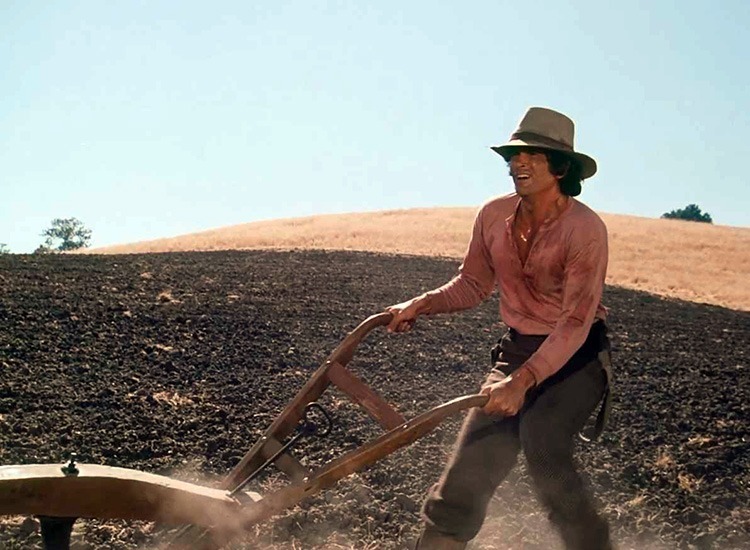 The Ingalls children helped their Ma with the laundry, and being outdoors made the chore more enjoyable. Pa learned how to do just about everything they needed to do. And if he didn’t know how to do something – he read books and learned through jumping right in and trying to do it. 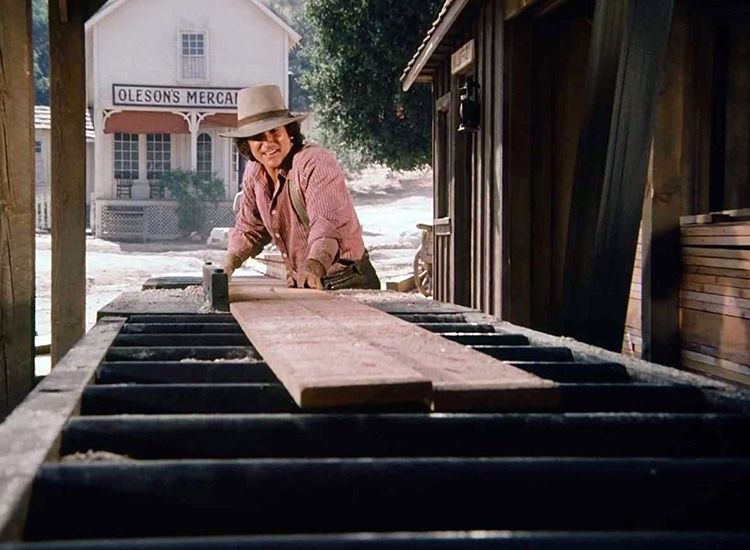 He learned how to be a wheelwright in the Christmas at Plum Creek episode to earn extra money to surprise Ma with a cookstove, he repaired an antique chair, and Pa always worked with wood to create things for the family. He hand-carved their wood mantle and carved CI + CI into it with love and care. 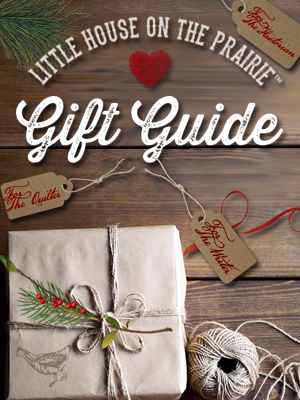 He also built Carrie a cradle, Ma a carved headboard, Laura a saddle for her pony, and many more treasured gifts. 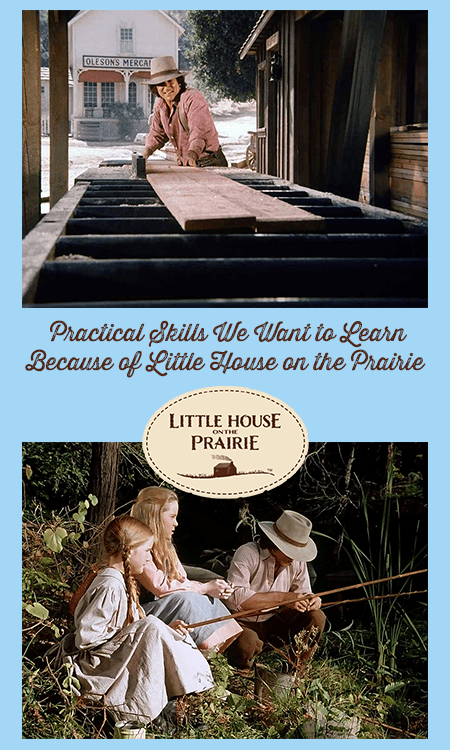 What are some of your favorite practical skills that you learned or were inspired to learn from Little House on the Prairie? 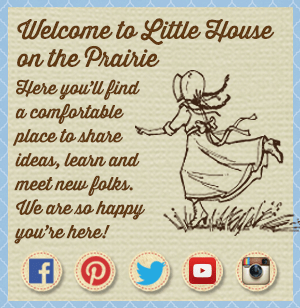 Are you interested in more great articles inspired by Little House on the Prairie? Then be sure to subscribe to our free newsletter for the latest information! I’m 14 years old and LOVE Laura Ingalls. If she were still alive we would be the best of friends. Me and my family do all these things above. I love to embroider but my little sister is much better than I am. Me and my little sister took sewing lessons last summer and made Laura Ingalls dresses, we play Laura Ingalls all the time I’m always Laura and my sister is always Mary. If i was given the option to go back to the Laura Ingalls times I would do it in a heart beat. I grew up on LHOTP, both the books & tv show (probably the best set of books my babysitter ever gave me). I gave my daughter her own set when she was in grade school. One of the things we were able to bond over, was using Ma’s receipt (we call it a recipe these days) to make bread & my daughter excels at it. In this age of ‘gotta have it now, gotta have it new’, it’s nice to take a step back & do like our forefathers. Far too many skills have been lost & it’s sad.